CHI St. Alexius Health released the following statement in response to today’s decision by the medical staff to reinstate the Medical Executive Committee, the Peer Review and the Credentials Committee through June 15 while talks continue. 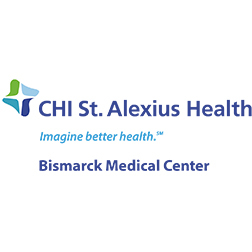 “We are pleased that the medical staff at CHI St. Alexius Health voted this morning to reinstate the Medical Executive Committee, the Peer Review Committee and the Credentials Committee through June 15. Through open dialogue, reflection and greater understanding, the medical staff working with CHI leadership has found a productive path to further discussions. At a meeting with members of the Medical Executive Committee on Thursday, Tony Jones, Catholic Health Initiatives interim executive vice president and chief operating officer, told the physicians that he would review North Dakota leadership as well as the division’s location. “Additionally, the CHI St. Alexius Health Board of Directors met yesterday to expand the size and scope of the nine-member subcommittee announced at its May 17 meeting to a permanent 12-member Joint Conference Committee with the Medical Executive Committee, the Board of Directors and CHI administration each having four representatives. Membership on the Joint Conference Committee will be announced when it is fully constituted. “CHI,our Board and our management have been open to the physicians’ professional recommendations and opinions about the care we deliver and the environment in which we deliver it. Leadership has worked hard in a good faith effort to find common ground and accommodation with the medical staff and in turn, today, the medical staff has done the same. We have the utmost respect for our physicians.